On January 10, 1901, the Lucas Gusher on Spindletop Hill exploded, shooting oil hundreds of feet in the air. The explosion was so intense that nine days later the oil column was still gushing nearly 200 feet high, producing around 100,000 barrels a day. Similar to the California Gold Rush of 1849, Beaumont experienced a surge in population from 9,000 in January of 1901 to over 30,000 a mere two months later. Over the next few years, dozens of oil companies were chartered. Six wells were erected on Spindletop Hill, helping make the U.S. the world&apos;s leading petroleum-producing nation. Spindletop became the largest oil field in American history, ushering in the Petroleum Age. On this one day tour of Beaumont, you&apos;ll discover our rich history and how it changed Beaumont, and the world, forever. Visit the Spindletop/Gladys City Boomtown Museum to see how it all happened when the Lucas Gusher, the largest gusher in American history, blew in January 1901. The museum depicts a replica boomtown that sprang up overnight and how Beaumont ushered in the industrial revolution, giving rise to the major petroleum companies. 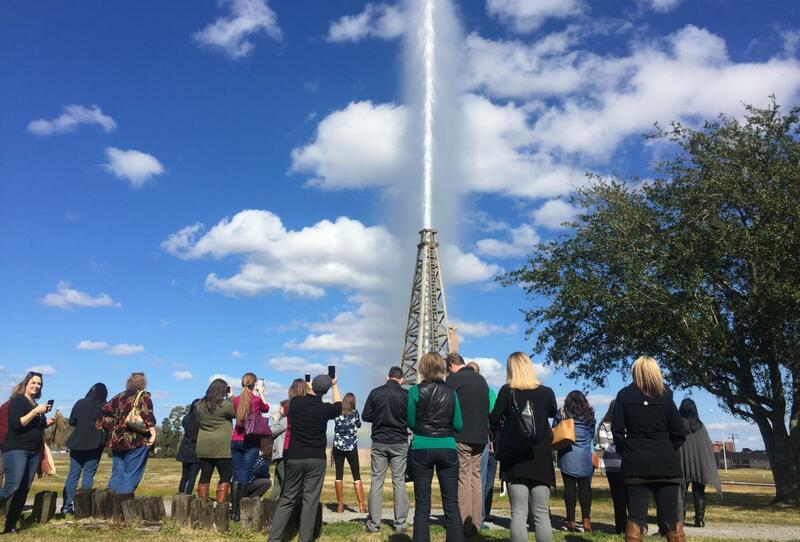 Spindletop gives visitors a chance to experience this remarkable chapter in history first-hand and learn about the industrial developments that followed. We recommend calling ahead or checking their website for a schedule of the Lucas Gusher Reenactment. The museum also offers a gift shop where you can buy Spindletop souvenirs and locally-made goods. To see the original site of Spindletop, you&apos;ll need to drive a couple miles up the road. While the actual location has subsided into the water and surrounding marshlands, there is a viewing platform as well as historical markers, which were placed at the location in 1976. Next, take a tour of the Texas Energy Museum and experience the fascinating world of petroleum, geology, energy and science as colorful exhibitions unfold the story of Texas oil. See talking cinematic robots tell of early oil field life and learn the many uses and byproducts of oil. Discover the beginning of the 20th century "Age of Oil" through the many displays about Spindletop. 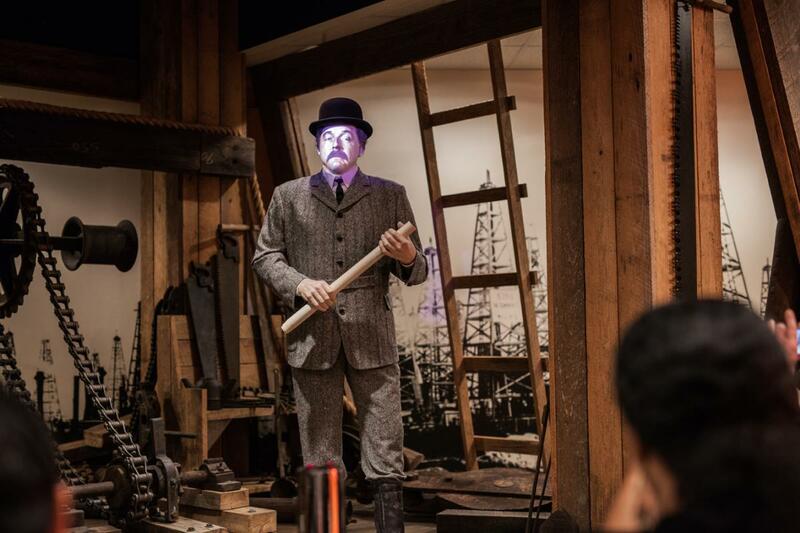 Interactive exhibits depict the unique history of oil exploration, production and refining in Texas. Head over to the Katharine & Company for lunch, located inside the historic Mildred Building. Built in 1927 and completed in 1930, the Mildred Building was built by Frank Yount for his daughter, Mildred. Yount made his money in the second oil boom of 1926. He believed there was more oil at Spindletop and with new technology was able to drill deeper, causing what we call the "2nd Spindletop." At Katharine & Company, visitors can enjoy daily specials along with a vast array of freshly-made salads, soups and entrees. The Mildred Building is also where a lot of the action takes place during First Thursdays on Calder, including food and shopping discounts and live music. 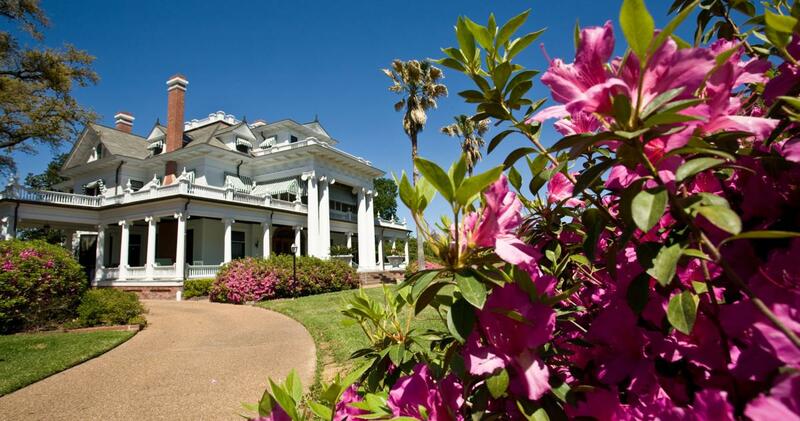 Complete your Black Gold Trail with a visit to the McFaddin-Ward House. This historic home is a 12,800 square-foot Beaux Arts Colonial Revival style house and offers an impressive example of the wealth Spindletop created. Its structure and furnishings reflect the lifestyle of the prominent family who lived in the house for seventy-five years. The home was added to the National Register of Historic Places in 1971 and named a Texas State Historic Landmark in 1976. Docent-led tour times vary throughout the week so we suggest calling ahead for a reservation (not required, but highly recommended). 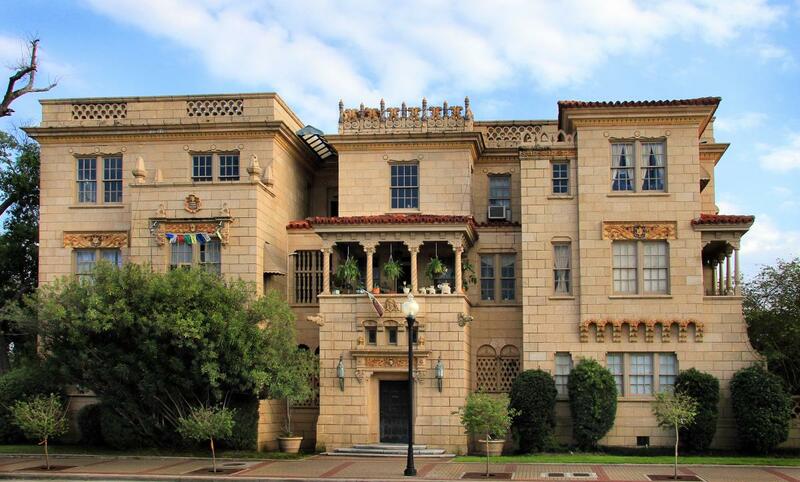 Pair your McFaddin-Ward House tour with a visit to The Chambers House for a stunning contrast between the wealth of the McFaddin&apos;s and the middle-class Chambers family.